Enjoying Labor Day travel is a great way to get in one last summer getaway before the lazy days of summer start turning into chilly fall evenings. Since school is in session in most parts of the country by the time this long weekend rolls around, most people plan short trips to destinations within a few hours of their homes rather than going to far-away locations. 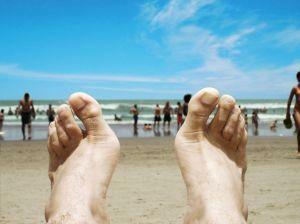 Visitors flock to beachside and lakefront communities on the east and west coasts of the U.S. on Labor Day weekend. Swimming, sunning, and boating are summertime-only activities in many parts of the country, so it makes sense that the last summer blast of the year often involves a trip to the water. Not everyone spends Labor Day on the water. Many people don't live within an easy drive of a lake or beach, or simply want to do something else for the last weekend of summer. Attending festivals is a very popular Labor Day travel choice. Many communities hold special events on this weekend, so there are plenty of choices. Some popular events are detailed below. People have been making Labor Day travel plans to visit Snowmass Village, CO every year since 1991 for the Jazz Aspen Snowmass Festival. This music festival includes a revolving lineup of internationally recognized musicians and rising stars on several stages for four days and nights. Visitors also enjoy international cuisine, beverages, and crafts displays. In upstate New York, Labor Day weekend offers the perfect opportunity to enjoy the majestic beauty of hot air balloons. The New York State Festival of Balloons in Dansville has been a Labor Day tradition since 1981. There is something for every member of the family at this fun festival. In addition to having an opportunity to see a number of hot air balloon launches, free live entertainment is provided throughout the day. 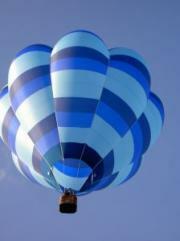 Kids can enjoy carnival rides and tethered hot air balloon rides. Grownup will appreciate the arts and crafts displays and antique car show. Everyone is sure to delight in the international food court. Every year since 1983, Kingsland Catfish Festival attendees have paid homage to southern fried catfish throughout the three-day Labor Day weekend. Located between Georgia's Golden Isles and Jacksonville, Florida, the festival is easily accessible from I-95. The celebration includes a wide variety of events. Visitors will enjoy plenty of good food, including catfish and many other taste-tempting treats. Shopping opportunities include arts, crafts, antiques, and collectibles exhibits. The festival features live entertainment, a 5K run, competitive bike rides, and an exhibit of classic cars and tractors. The official Catfish Festival parade takes place on Labor Day morning. The Chicago Jazz Festival has been held every Labor Day weekend since 1978. The three-day outdoor event is the largest free admission jazz festival in the world. The line-up of performers changes each year, but it is always impressive. Millions of Americans take to the highways each year to enjoy the last long summer weekend of the year. No matter where you plan to go for Labor Day weekend, it's important to make travel plans early. Whether you're going to a waterfront resort or attending a popular festival, you'll want to be sure to make lodging reservations early to guarantee your spot.